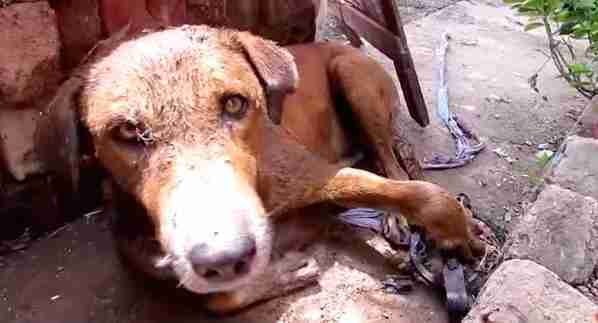 It's hard to know what he was thinking, lying there on the side of the road with his paw caught in a hunter's trap. 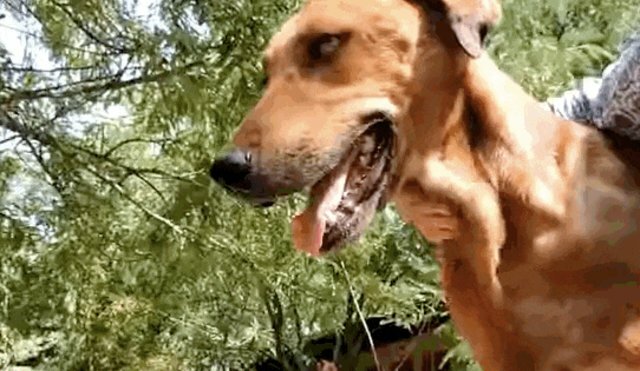 But the suffering this street dog in India went through is certainly unimaginable. His eyes seemed glazed over from the pain, while flies gathered around the paw that was clamped in a hard metal trap on the side of a road. 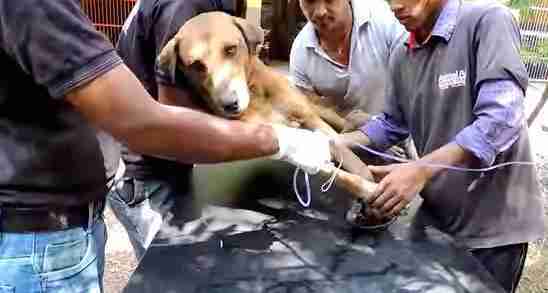 Rescuers from Animal Aid Unlimited rushed to carry the dog to safety - and to try to save his life. People had hoped they could save the pup's paw, but the bones were too crushed. The dog was suffering from a life-threatening infection that had already spread all the way up his leg. Many people came together to give the dog the emergency amputation that would save his life. New footage shows that the fast-acting rescuers and the courage of the dog prevailed. 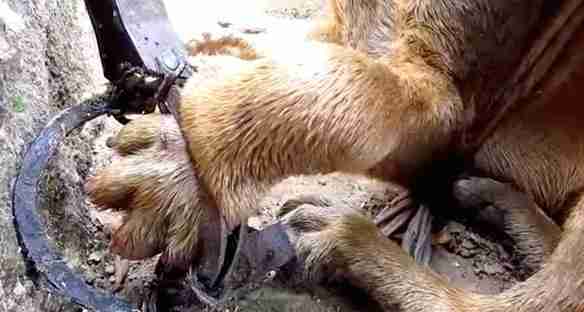 With just three legs, the dog's bounced incredibly back to life. And that's something to wag a tail about. To help Animal Aid Unlimited come to the rescue of animals in need, click here.